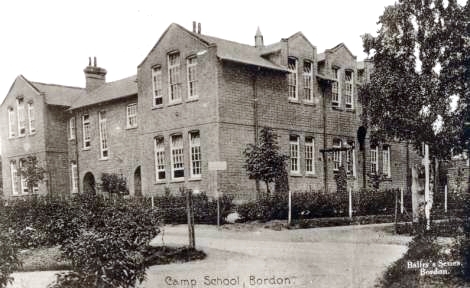 Two schools were built in Bordon during the 1906 additions. 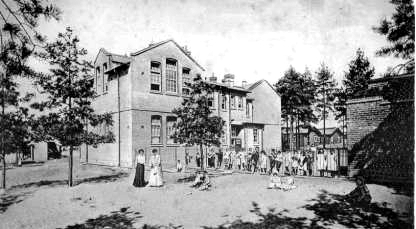 These were a Junior School in Station Road and an Infant School in the centre of what is now Lamerton Road, the latter being used by military personnel in the mornings and by children in the afternoons. A new Infant school was built in Budds Lane in 1979, and the old school in Station Road was leased to the Local Authority for use as a Community Centre. It was called Barbados House, derived from the earlier name of the adjacent barracks, and the popular Phoenix Theatre is housed within it.